3D Stone Tile & Pavers is one of the largest distributors of natural stone, pool tiles, interior tiles, pavers, retaining walls and blocks. We are direct importers and also agents to many of the famous brands. This means we will have what you want when you need it, all at special trade rates for everyone. Our shop is located on Ferry Road in Brisbane's West End, come and visit our showroom today! 3D Stone Tile & Pavers started out as ‘The Paver Trader’ back in 1999, with already many years’ experience in the industry. Our representatives are some of the most knowledgeable in the industry, so you will get the right advice every time. We have mobile showrooms happy to visit you when you want and where you want, whether it be in Northern NSW to the Sunny Coast in QLD you can see what you like on site before installation! Also we currently are able to provide the tiling/paving services you require so you can rest asured your project is looked after from inception to completion! Marble and limestone Tiles, Slabs and all types of natural stone are our speciality. We have an extensive range of stone tiles including marble, limestone, travertine, sand stone and granite. Tiles sizes range from 200x200 all the way up to 900x900. Finishes include polished, honed, brushed and acid washed. 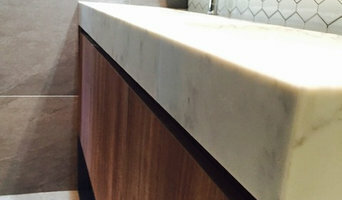 Our slabs are available in many colours and can be used for bench tops, back splashes, fireplaces, vanities etc. As importers we travel regularly to the quarries around the world for block selection and to observe current trends. We have extensive stock in our Brisbane warehouse for immediate use and welcome visits to our showroom and warehouse for inspection or can bring samples to you. We are celebrating our 18th year operating in Queensland and prior to that, we were established in Melbourne. 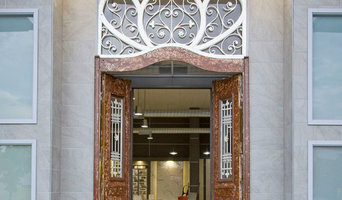 ace stone + tiles is a cutting-edge distributor of fine quality stone and exclusive tile products. Sourcing the world's highest quality Natural stone from around the globe and stocking the most diverse range Queensland has to offer, ace stone + tiles imports exclusive ranges of Porcelain tiles from the best European factories. Working with Queensland's most prestigious Architectural firms and top developers, we deliver innovation, luxury and style on every project. We offer great natural stone tiles and products. Such as Stone basins, Travertine tiles, Marble Tiles, Borders, Free standing bath tubs, stone cladding, French pattern Tumbled Travertine, Travertine Paver,Subway tiles, Basket weave mosaics, etc. Extensive retail showroom displaying a comprehensive range of bathroom accessories, floor and wall tiles highlighting all the current and emerging trends as well as classic and traditional designs, backed by quality service. Design your house full of tiles from main areas, bathrooms, pools, feature walls and entertaining areas with our assistance, using quality products to suit your budget. 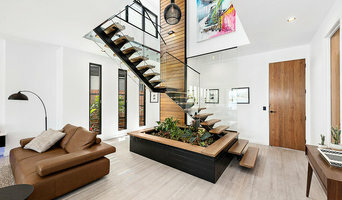 ASA Tiles is a proud locally owned tile and interior design business located in the Fortitude Valley in Brisbane. We pride ourselves on having beautifully stylish products including a wide range of high end Italian, Spanish, Turkish and Chinese porcelain tiles. Statement tiles to give your project that, "WOW," can also be found here. For the selection process., ASA provides outstanding designers to help give the appropriate advice for your project. We specialise in a multitude of styles including the Hamptons, French Provincial, Modern and Manhattan. The team at ASA are always excited to take on new projects and explore new directions. So get in touch with Michael, Tyson or Trish today. We guarantee you will love the finished product! Est. in 1979 – Uptiles Strathpine is the most awarded, family owned ceramic tile business in Queensland. The core strength being the ability to respond to customer requirements as the market changes over the years. We supply the latest exclusive, quality products from Spain, Italy and Sri Lanka to our customers – the discerning public, architects, designers, builders and retailers. We constantly communicate with our manufacturers to keep us abreast of the latest product developments. This is the differentiation between our business and our competitors which has allowed us to lead the market for over 35 years. Our aim is to satisfy our customers by providing the best products in regards to design, quality, functionality and value for money with a philosophy to evolve and change as new products are created Today Uptiles Strathpine is still winning Industry awards for the Best Showroom, Best Colour consultants based on Knowledge and Service guaranteeing the best customer service and product satisfaction. Top Tiles basic business premise is “Top Tiles at Bottom Prices”. We have a very simple philosophy of top quality tiles at everyday low prices. We achieve this through importing 90% of our tiles from Europe and Asia direct to the shops, low cost display concepts, factory style showrooms, service oriented staff and simple logistics management. Top Tiles was established in April 2000 and has grown into a successful business with a strong warehouse outlet. We are located at 88 Kingston Road, Underwood QLD 4119 AUSTRALIA - open 7 days a week We also offer a personalised colour selection consultation by appointment at either store or in your home 7 days a week. We endeavor to have in stock what we show you. We are not just a tile shop either, we take pride in being able to offer a “one stop shop” service encompassing Tiles, Bathroom ware, Tap ware, Adhesives, Grouts, Tools and accessories. Many tile, stone and benchtop contractors in Slacks Creek, Queensland work in tandem with plumbers in the bathroom. They can assist in a variety of common surfacing jobs, from installing shower pans to small grouting jobs. Furthermore, they can create and install murals, mosaics, and repair or replace any surfaces with chips, cracks or stains. Here are some related professionals and vendors to complement the work of tile, stone & benchtops: Interior Designers & Decorators, Architects, Building Project Managers, Kitchen & Bathroom Designers, Design & Construction Firms. 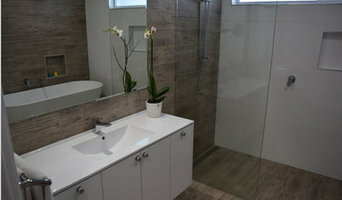 Find Slacks Creek, Queensland wall and floor tilers on Houzz. 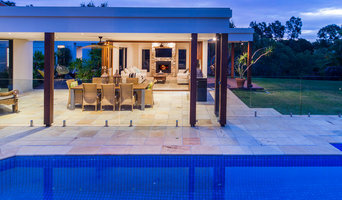 Look through Slacks Creek, Queensland photos to find tile, stone and benchtop projects you like, then contact the contractor who worked on it. Browsing photos will also help you stay on top of the latest trends; subway tiles, for example, are trending in kitchen splashbacks, while stone and concrete benchtops are replacing tile or formica surfaces.